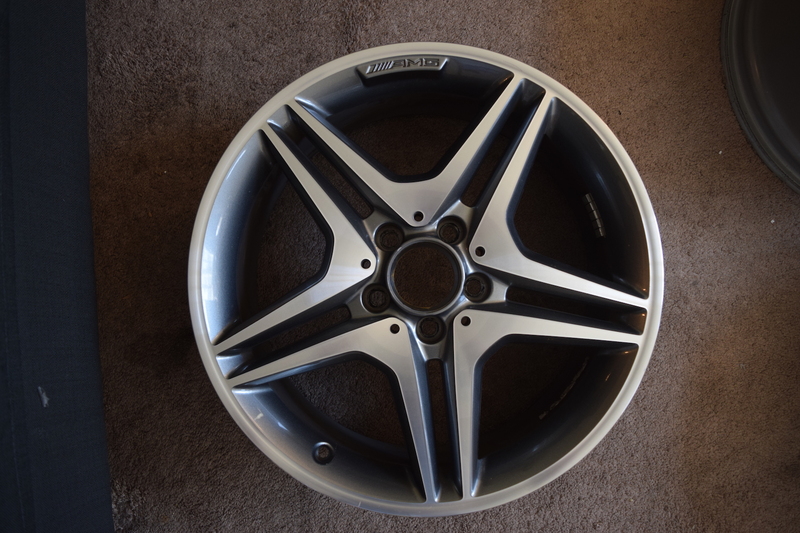 Very new, a full set of Mercedes-Benz GENUINE original equipment (OE) factory AMG classic 5-spoke machined grey rims. 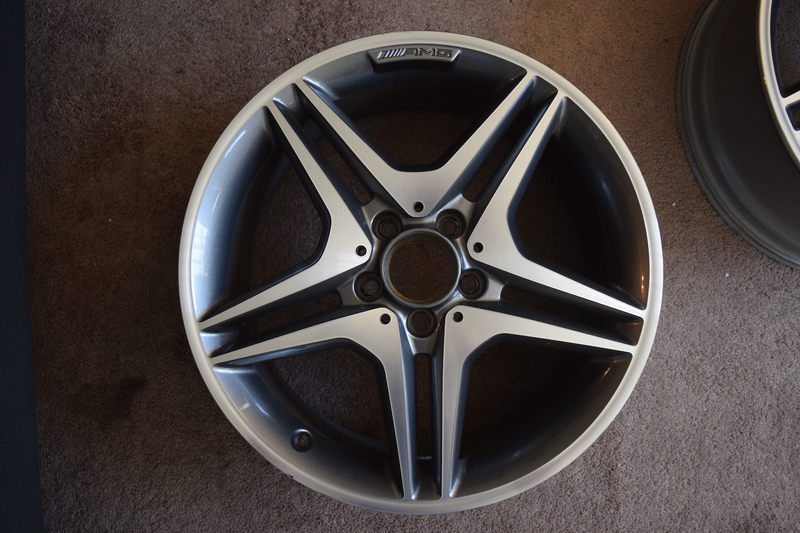 Came directly from my personal 2016 CLA 250 sport package, only runs 14K miles with these rims. 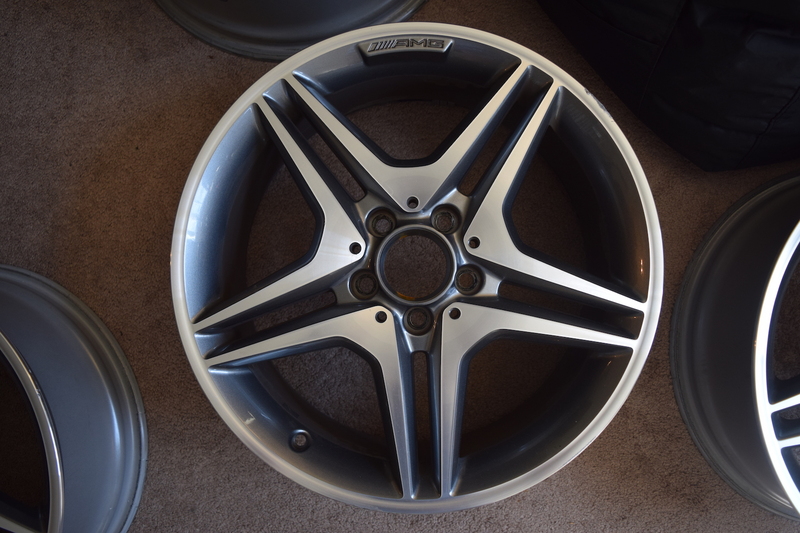 These wheels has no cracks, no bends, none accidents, I sell it because I bought another black wheels. 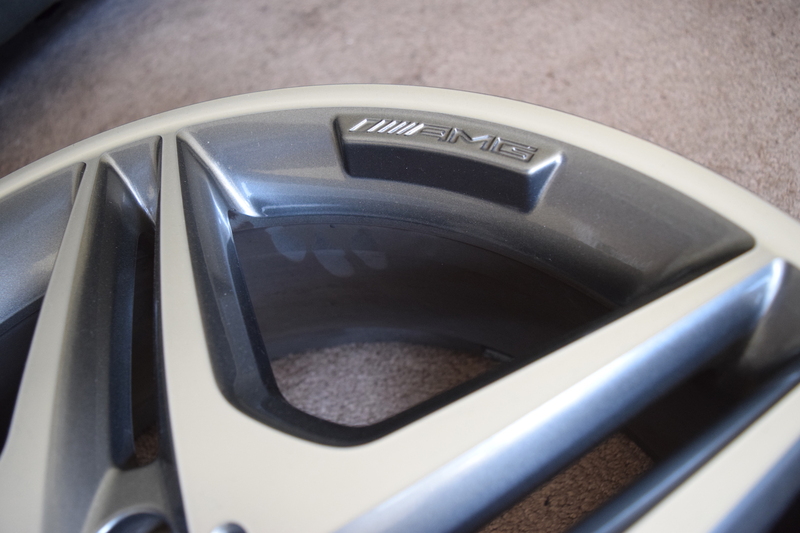 I posted the photo of each rim on the page, please see the photos, you will receive exactly the same of what you see. No tricks. 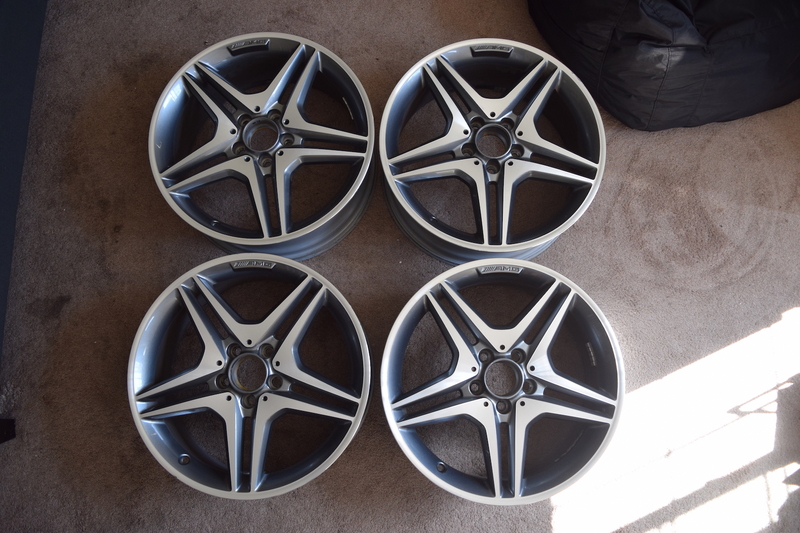 A full set (4 rims) only $1000! Or $300 each. 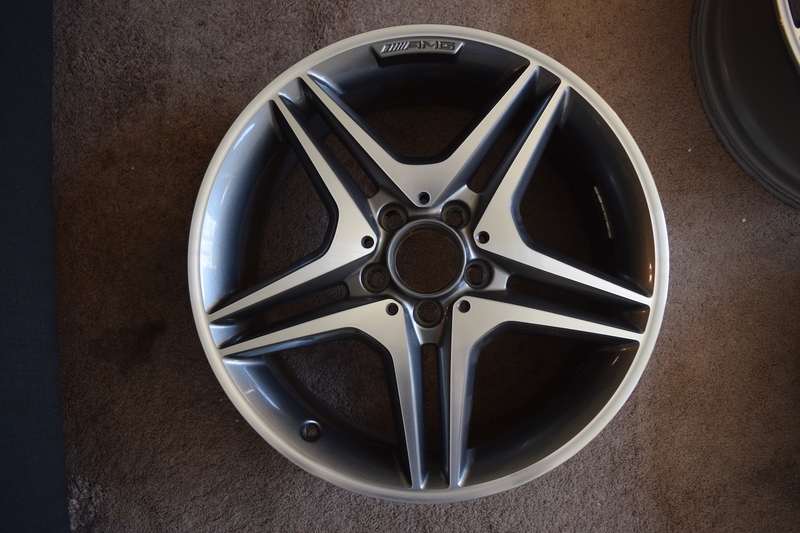 Other sellers sell used $350~$400 each with the same rim. Item located in Sunnyvale, CA (ZIP: 94086), are ready for pick-up or shipped. It can fit all the CLA250, B250 that came from any year, may also fit other cars, please ask the mechanic for confirmation. 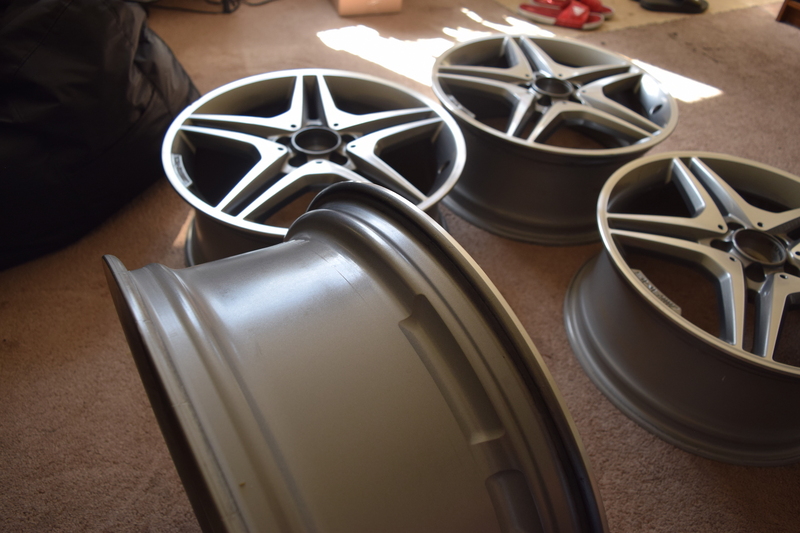 These are original genuine Mercedes factory rims, not replicas, please don't run any risk on your Mercedes with China replicas rims. 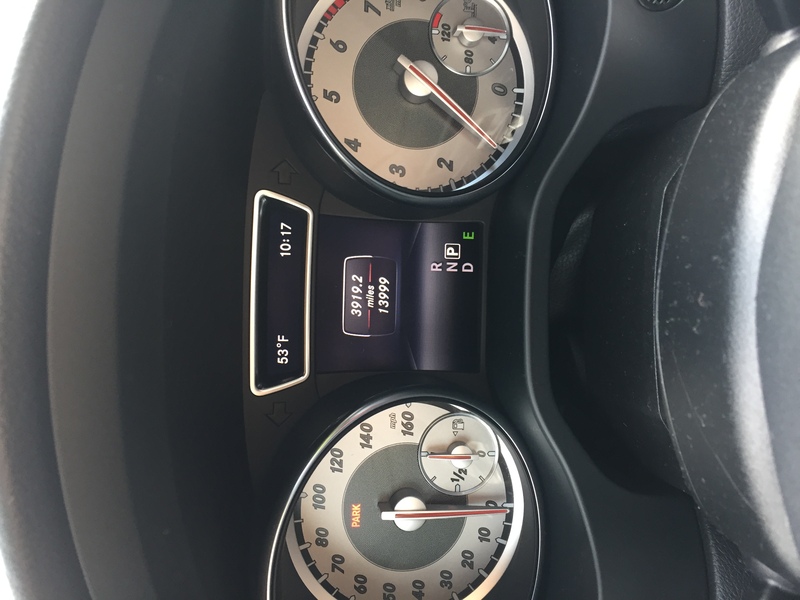 DO NOT include the TPMS and TIRES, if you need center caps, I can give you the OEM Mercedes center caps as well.